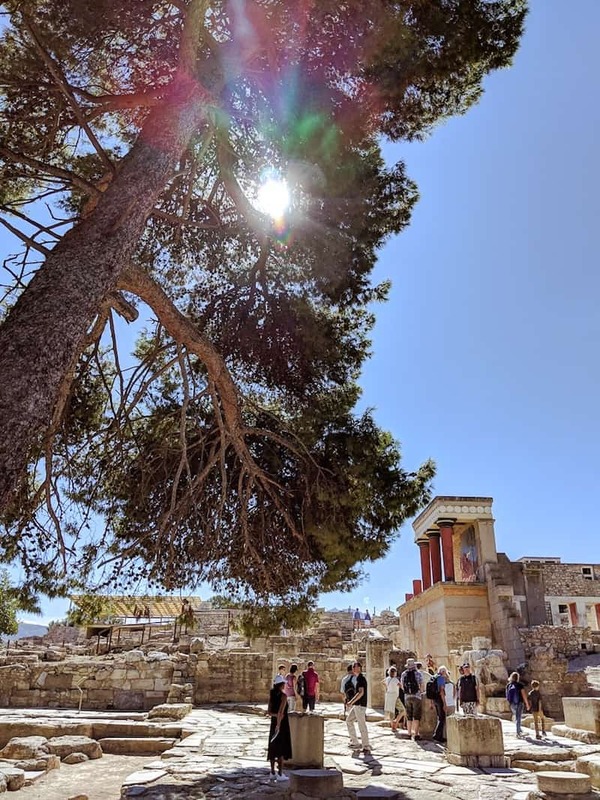 How to see the highlights of the Cretan capital in 24 hours; including the unmissable Palace of Knossos and where to find the most delicious custard pie ever. 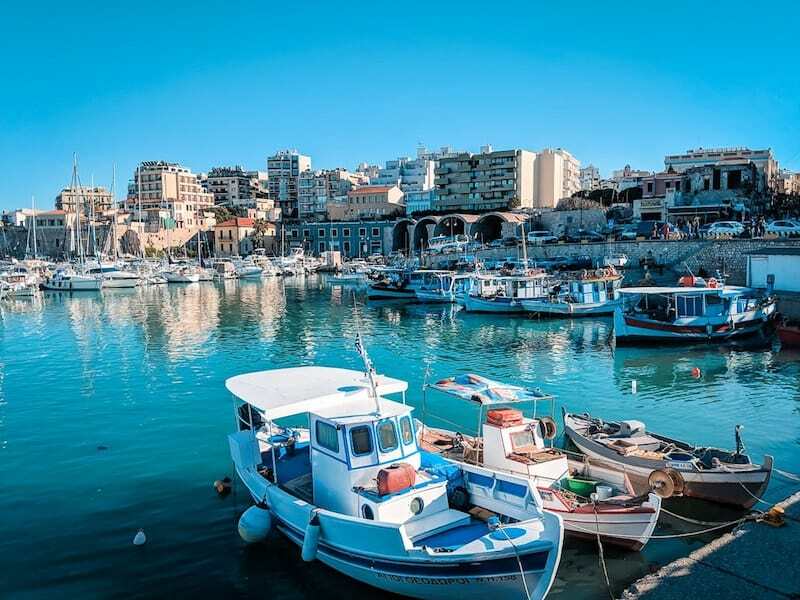 Unlike nearby Chania and Rethymnon, Crete’s capital (you might also see it go by the Greek spelling Iraklio) is not known for its beautiful architecture. 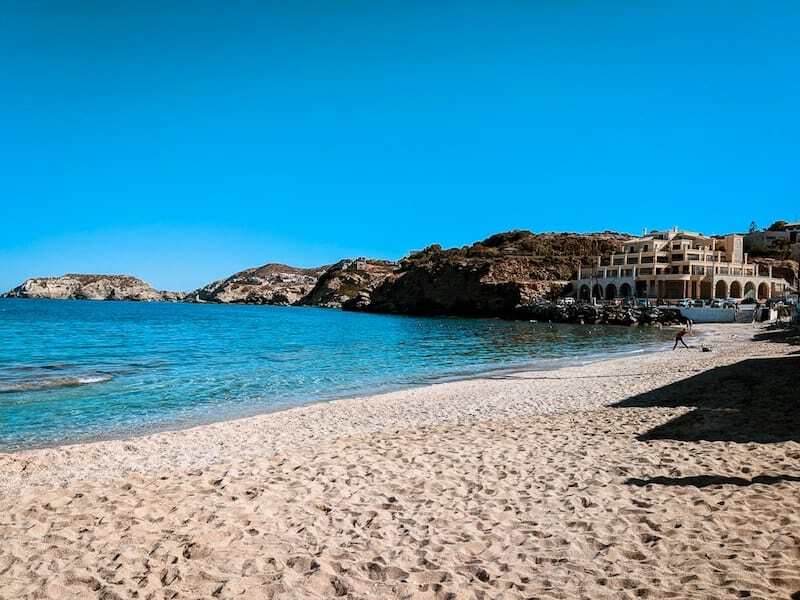 Tourists flock here for the nightlife of nearby mega-resorts (such as the notorious Malia and Hersonissos) and the famous Minoan palace Knossos. I visited in late October and most of the summer crowds have dispersed; the city belongs to its silent pigeons, heads cocked in a doze. 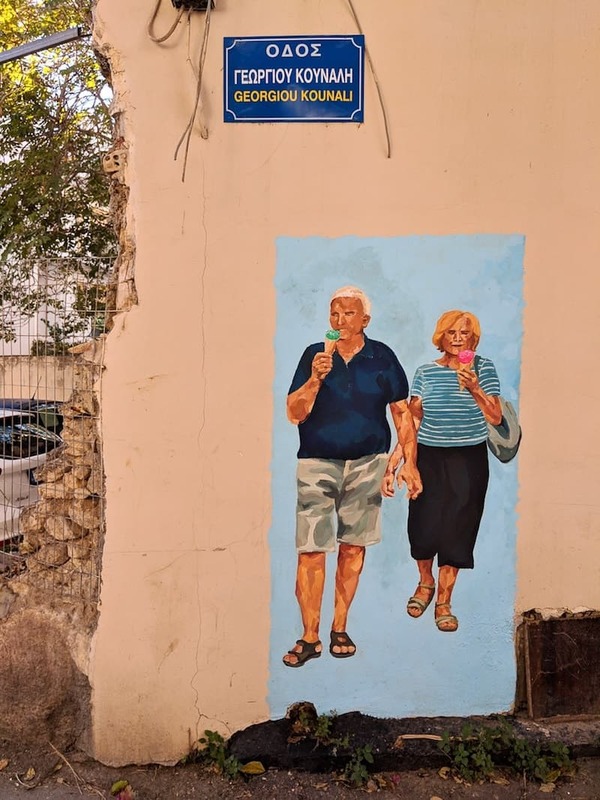 Mind you there are plenty of older tourists, mainly American, sock pulled up – presumably here for the antiquities rather than the nightlife. I meet one on the bus who looks just like Rick Steves. 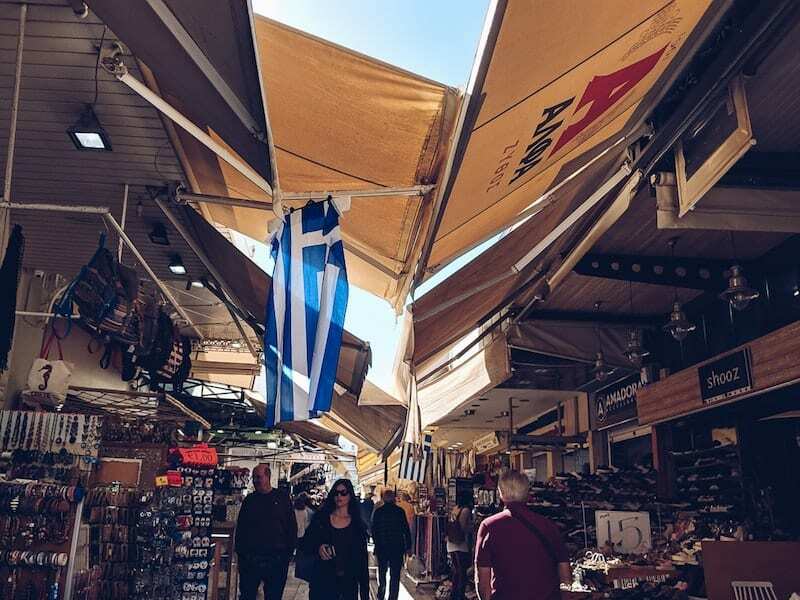 If you catch Heraklion at the right time of day, it smells of cinnamon and indistinguishable delicious meat smells. And it sounds of Stelios Kazantzakis (literally – nearly every cafe and bar I walk into is playing his hits). I arrive at the tail end of a storm and the turn of seasons. It’s warm and mild but windy, huge waves battering the bleak concrete seafront. 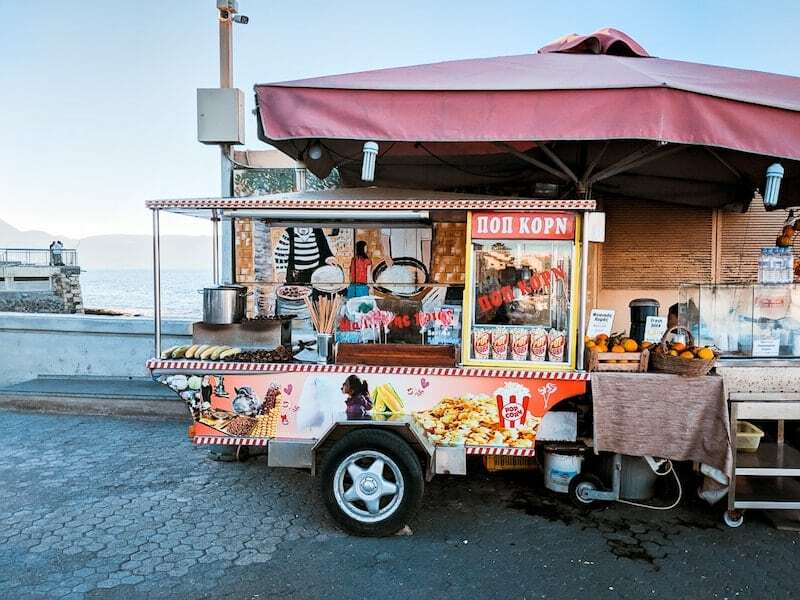 The adaptable vendors by the harbour sell roasted chestnuts alongside their ice-cream. 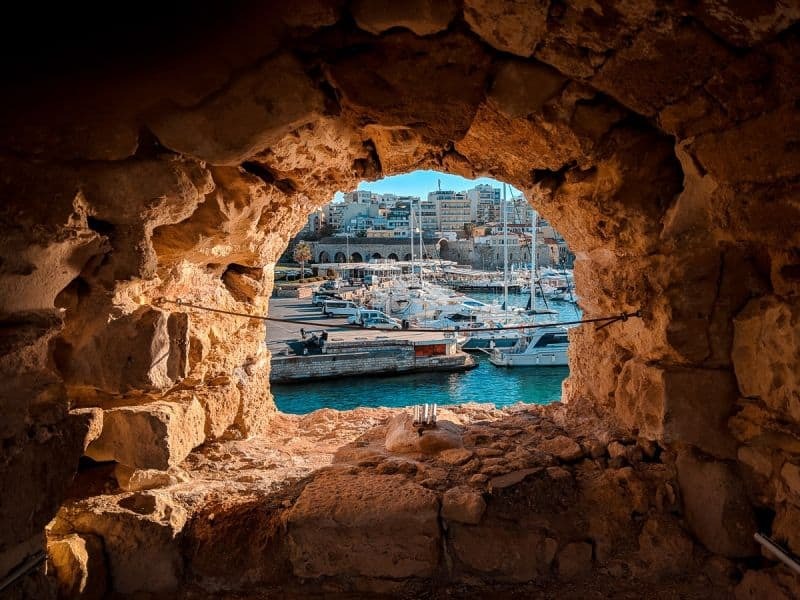 Modern Heraklion is a bit of a concrete shambles thanks to extensive damage during WWII, so it takes a little exploring to discover its hidden charms. Culturally, it’s a robust and vibrant working town with a large student population. There’s plenty going on if you know where to look (or know someone who can tell you where to look). 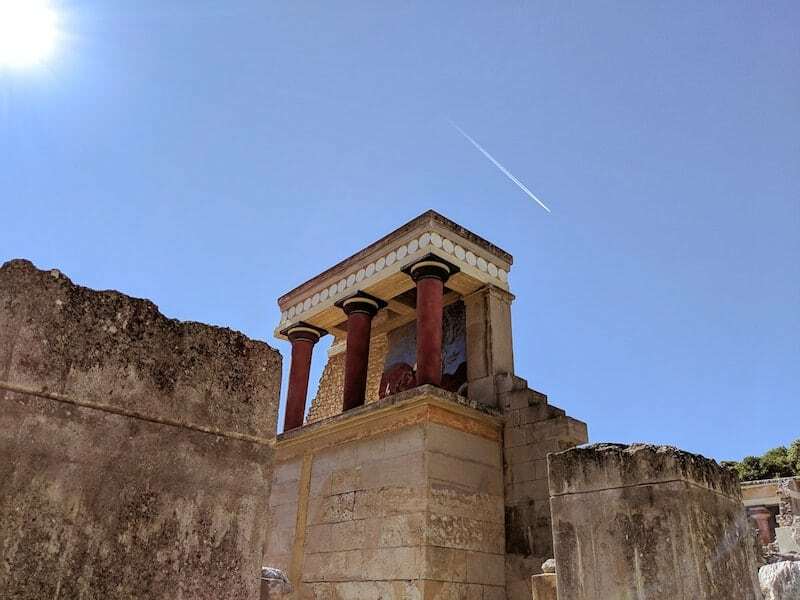 If you’re just in Heraklion for one day (which seems to be pretty common, as many people stop over to see Knossos before heading to the east or west ends of the island), it’s entirely possible to see the highlights in just 1 day. I recommend starting the morning with the city’s beloved bougatsa. 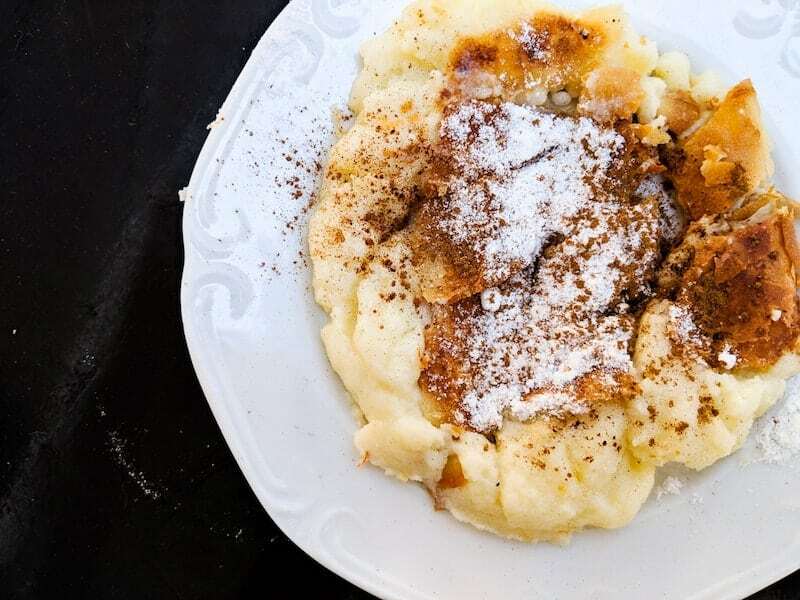 Bougatsa is basically delicious creamy things in filo pastry, topped with a dusting of cinnamon. 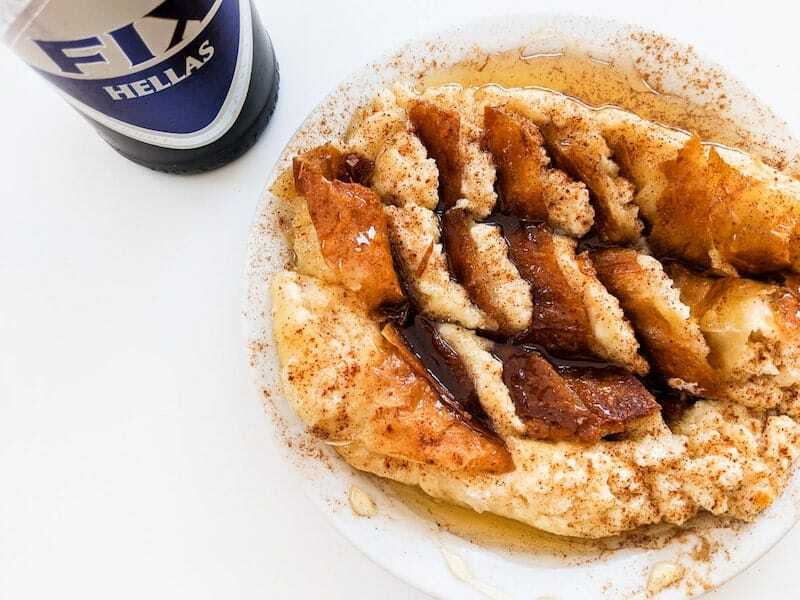 The most common version is the delicious custard which you’ll find throughout Greece (especially in the north), but here try the mithzira cheese version with honey. It comes flattened out with a fork for eating. There’s even minced meat version. There are two cafes on Lion Square next to each other that are famous for this delicious treat. 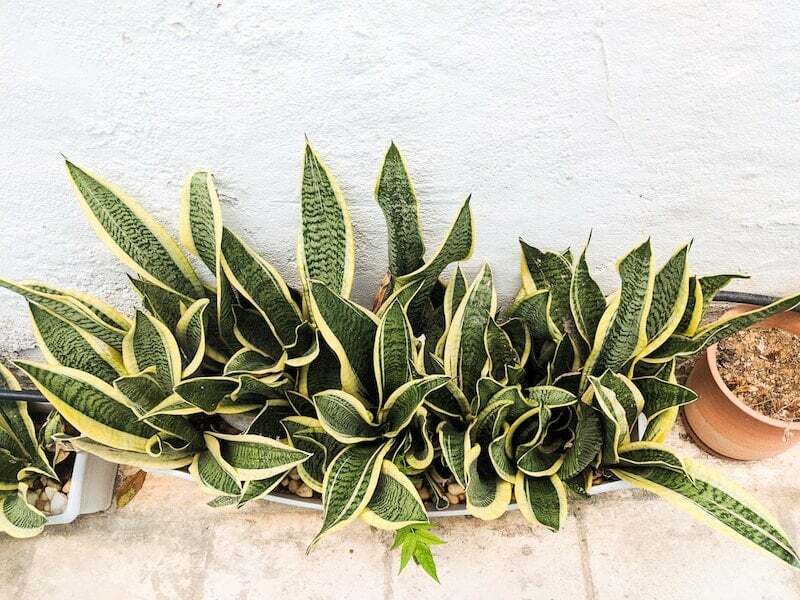 The first cafe you see – Phyllosophies – is larger and is puns galore. Kirkor is tucked away behind the first. If you can’t get a seat in the morning, try it as a mid-afternoon snack and hunt around the neighbouring streets for loukoumades (deep-fried dough balls in honey) instead. 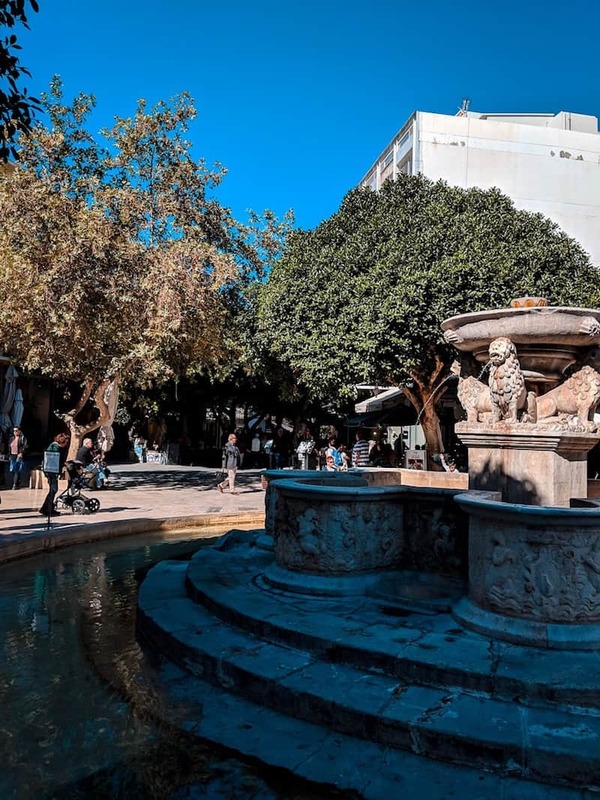 From Lion Square (or Eleftheriou Venizelou Square, to give it its proper name) you can wander up Odos 1866 which is the old market street. 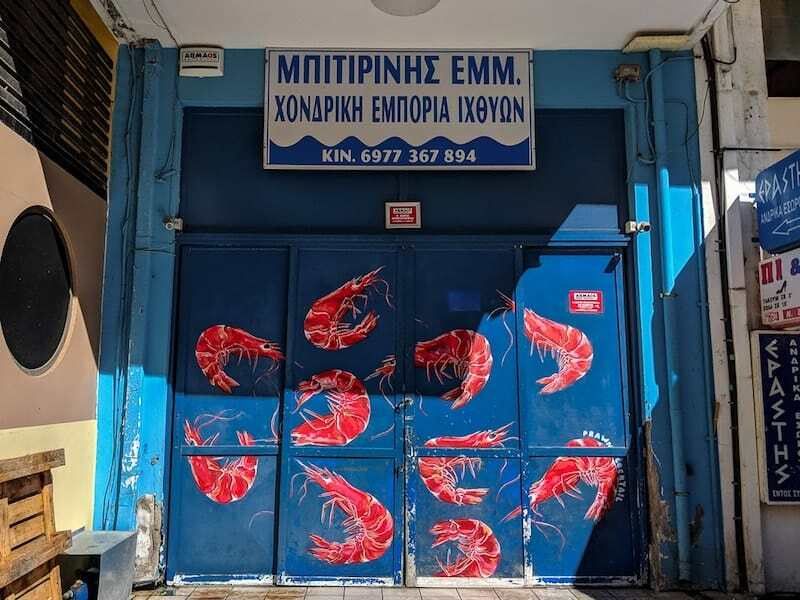 It’s mostly tourist knick-knacks these days, but you’ll find the odd thing of interest (especially in the spice and herb shops) and if you wander away from the main streets in the morning you’ll find fishmongers and butchers. From here head towards the Archaeological Museum. 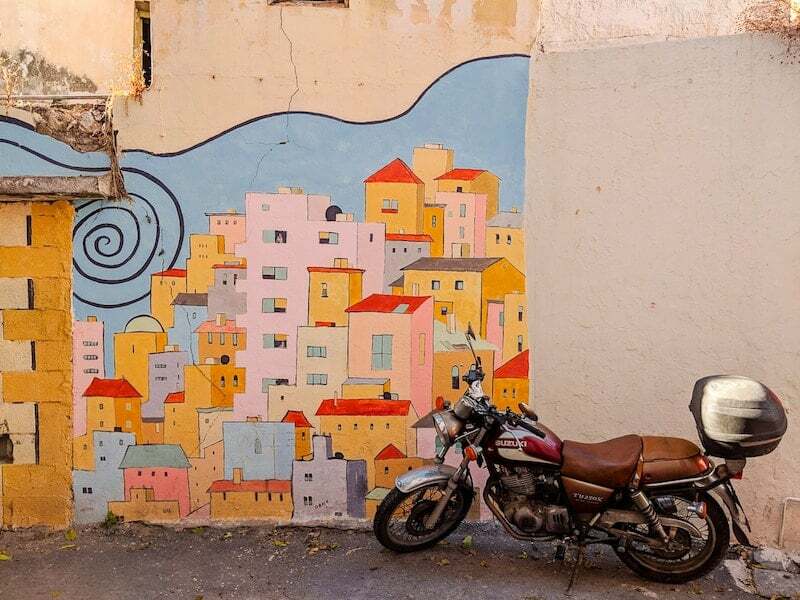 Heraklion has a handful of good museums, but this is the first one you should check out. 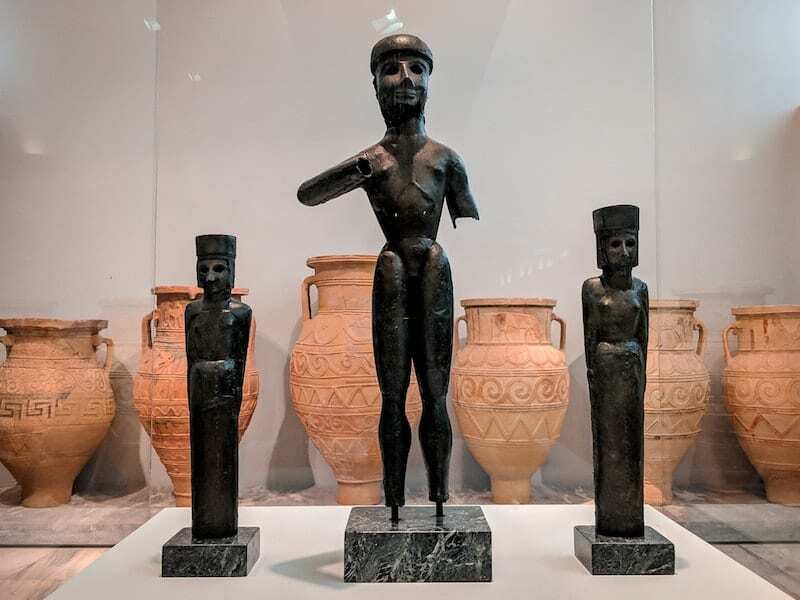 In fact, it’s one of the best museums I’ve been to in Greece – not just for its impressive collections but also the way it conveys the context (something strangely ignored in some museums). 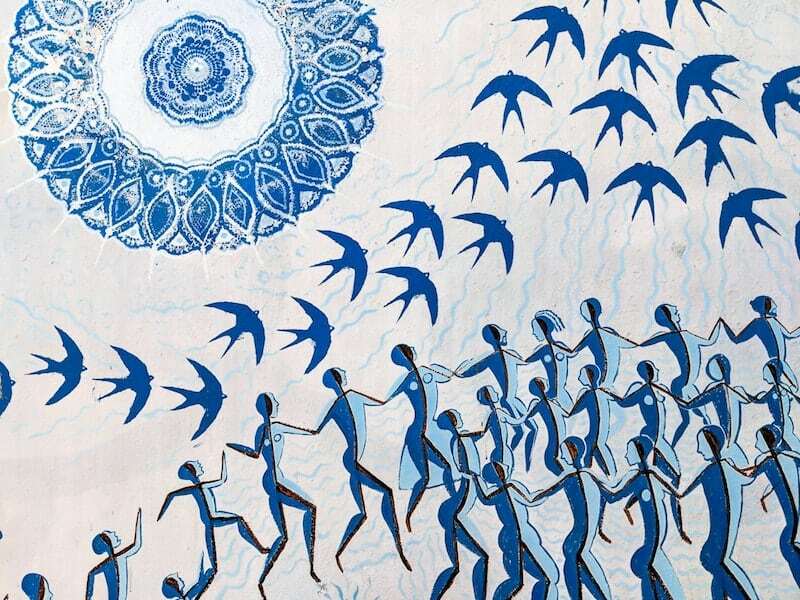 Also (and I admit this as an ancient history graduate) I never knew the Minoans were so cool. I’ve seen my fair share of ancient artefacts over the past decade, but there’s something particularly vivid and primal about the bull-worship and snake priestesses of Minoan culture. And some awesome pottery. Plus, I had no idea how huge the Palace of Knossos was (there’s a wooden mock-up). 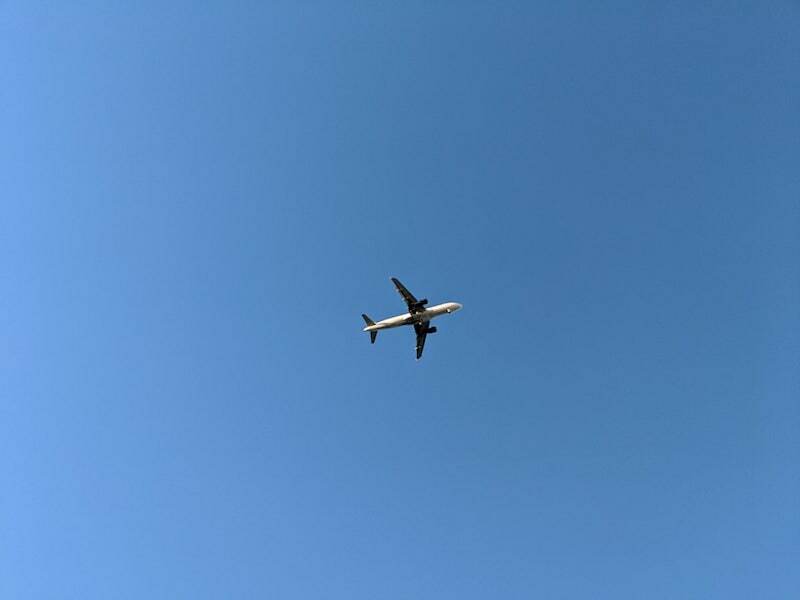 It made me excited to visit the site itself. 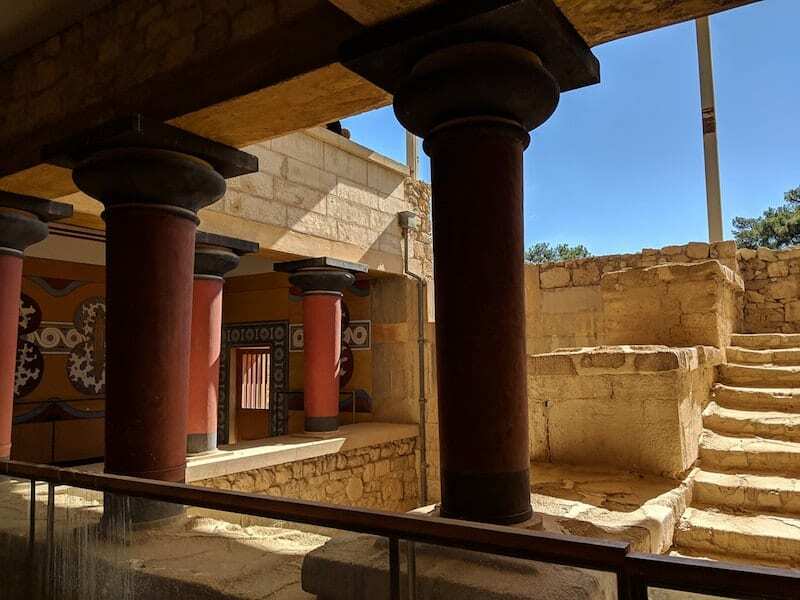 At the time of writing, entry to the museum was€10 (or€16 for a combined ticket with Knossos entrance). 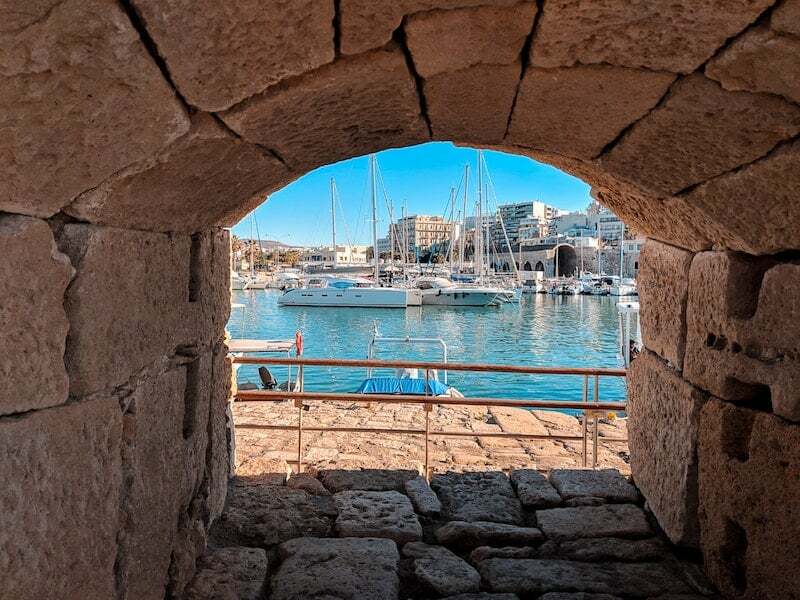 Whilst you’re down by the water, have a quick stroll around the harbour and nip into Koules – the Venetian Fortress. It was also more atmospheric (and extensive) than I expected, and it’s only €2 to get in, and worth it for the great views back towards the landmarks of the city such as the huge Venetian arsenals (big arches for storing weapons). A short and easy bus ride takes you to the extensive ruins of Minoan Knossos, up in the hills 5km behind the city. The site is beautiful and fairly shady and well set up for the number of tourists it receives (I can imagine it gets pretty busy at the height of summer). Guides (both people and books) are available on site. The archaeological site has a different feel to any other thanks to the ‘restoration’ of Sir Arthur Evans, who has famously (or infamously) reconstructed big parts of the site in the early 1900s. Which is why you’ll see columns painted red, unlike other sites. Even if the restorations are now deemed to be inaccurate (and despised by most archaeologists and historians), I rather like them! 2-3 hours is enough unless you’re a massive ancient history nerd. There are a few tavernas in the vicinity for lunch. The bus to Knossos is around €5 return and they leave very regularly from the road near KTEL Bus Station A, which is just past the old harbour and up a bit, to your right. You can buy tickets from the machines or pay a bit more to the driver on the bus. Bus Station A, by the way, is the place to head if you need any info at all on buses in Crete – it has a restaurant, a cafe, and a small shop, and looks like it’s had more money spent on it than the rest of Heraklion. Any bus information you find online is likely to be out of date, as I found out when I went looking for KTEL Bus station B (at Chaniaporta) . . . You’re unlikely to ever need to go there, as pretty much all of the tourist destinations are served from A (at the moment, at least). If you woke up at a reasonable time then you should still have a few hours left in your day. 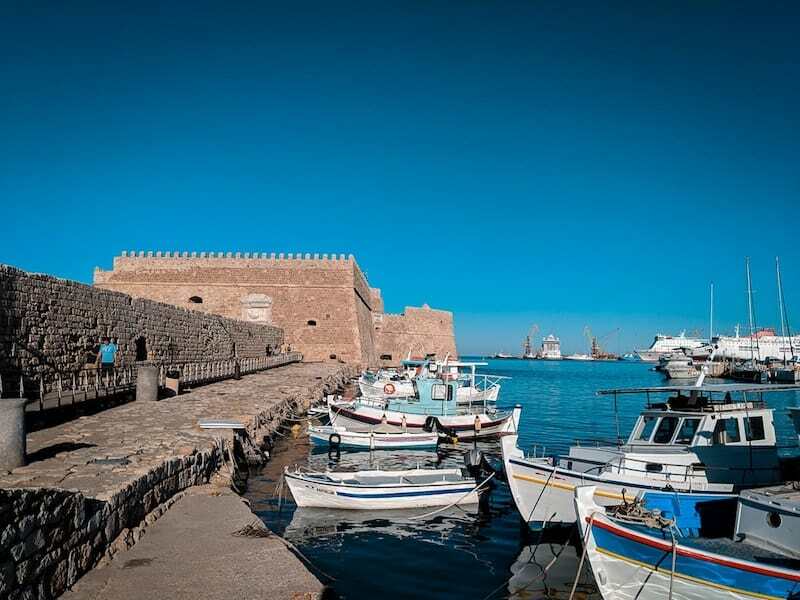 You could hit up the Historical Museum of Crete (for the Byzantine, Venetian and Turkish periods as well as the German invasion), hit the beach, or do some shopping. If you’ve got kids, there’s always the Natural History Museum (it has dinosaurs and an earthquake simulator) or the Aquarium although bear in mind it’s 15km out of town. Head up 25 August, a pedestrianised street which takes you all the way back to the centre of town. If you need a coffee en route, stop at Indigo. 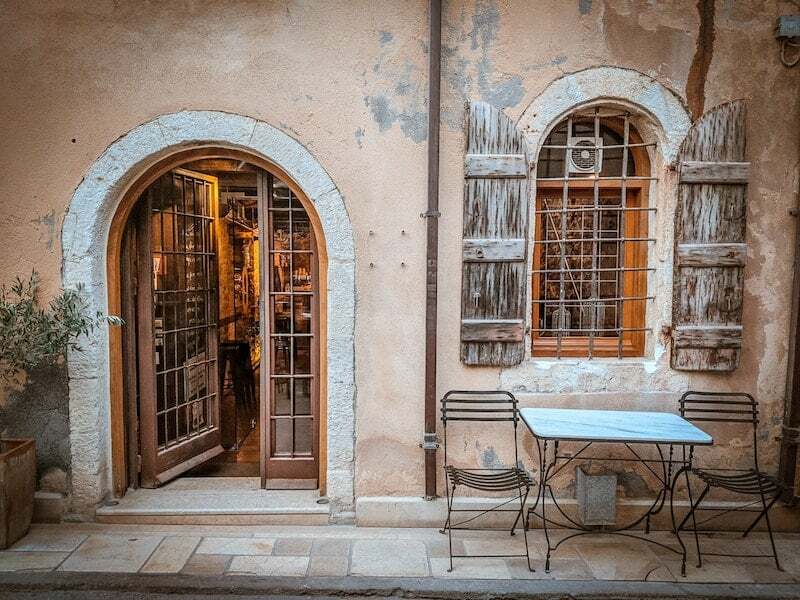 Unusually for Greek cafes, it goes beyond the usual frappe and freddo cappuccino with its long menu of single estate coffees and interesting teas, and you can take a seat outside which looks out onto the Church of St Titus. 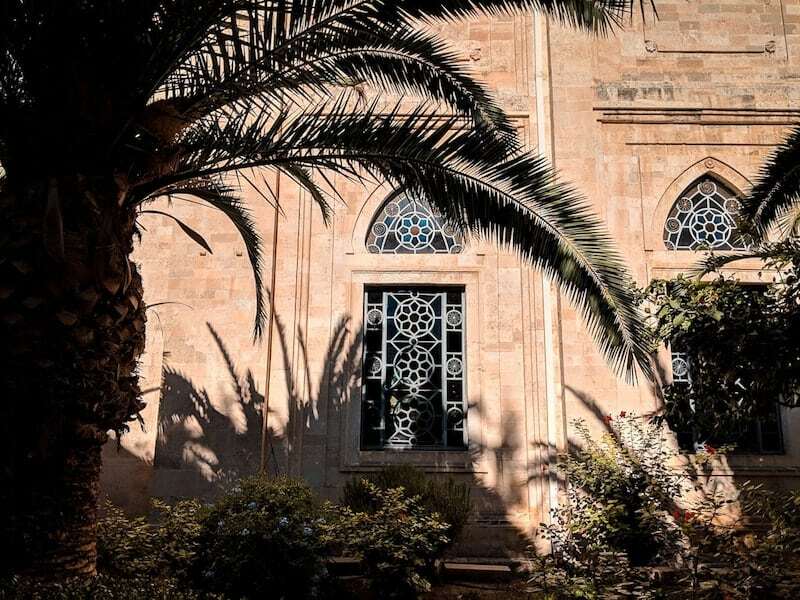 The church is one of the most beautiful buildings still remaining in Heraklion. It dates to 961 and during Turkish rule was converted to a mosque. 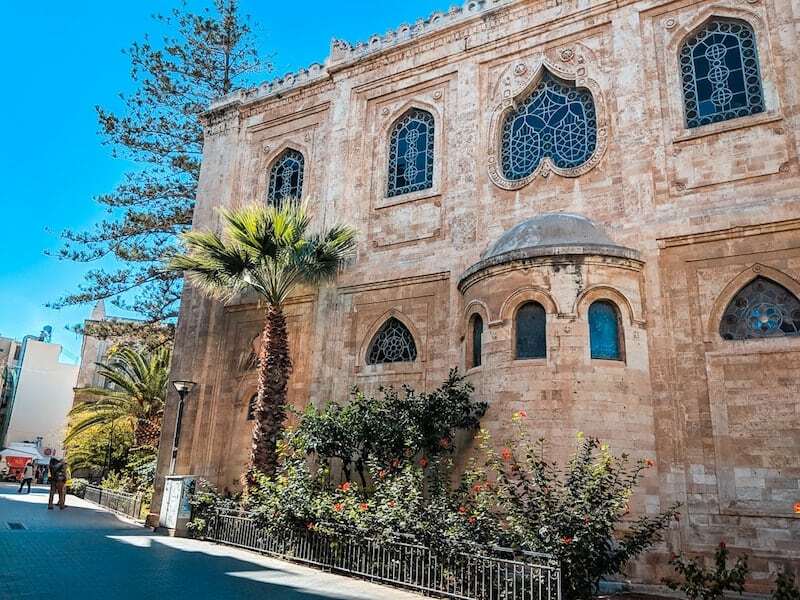 It’s surrounded by palms and cafes, as is the Agios Minas cathedral – the other notable religious building, which is one of the largest in Greece. 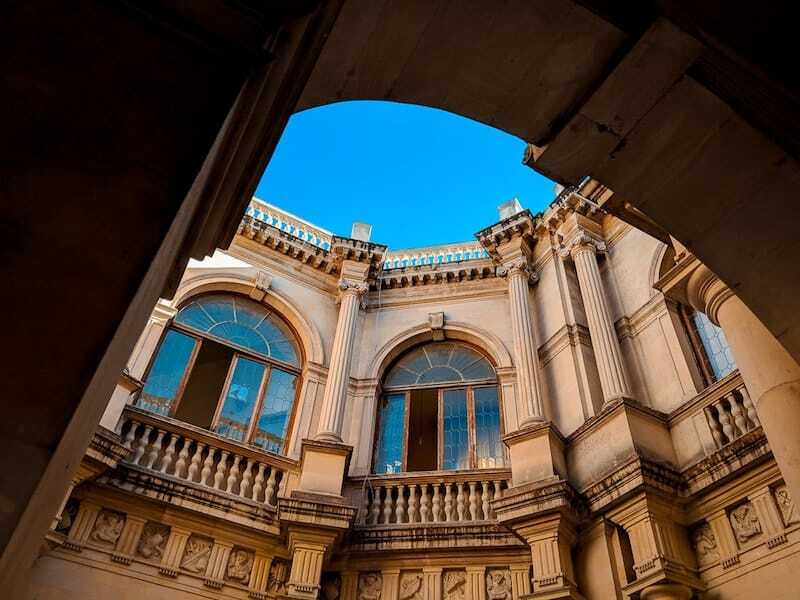 The other historic building that you’ll pass (they stand out easily in Heraklion) is the Venetian Loggia. You’ll find it between St Titus and the Lions Square and these days it houses the town hall, although you’d be forgiven for thinking it was mainly a selfie spot. 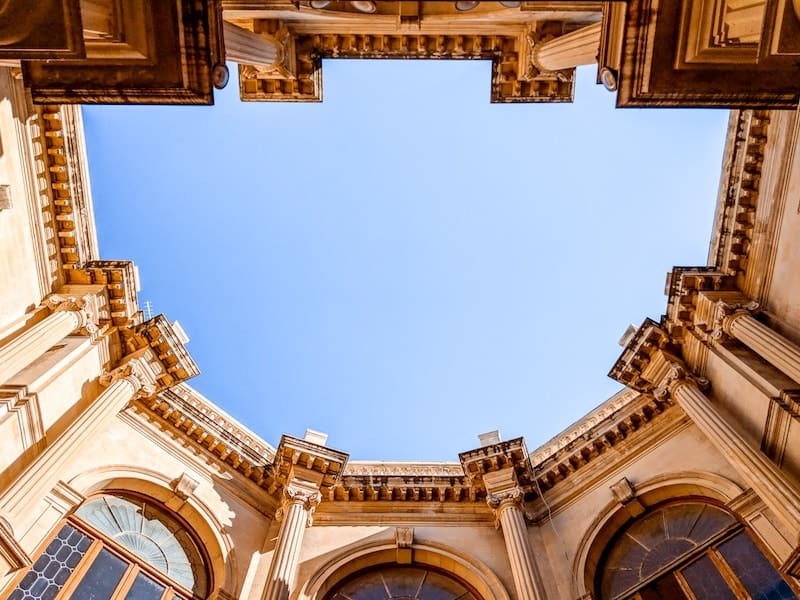 It’s worth popping in and looking up to see the unusual shape. 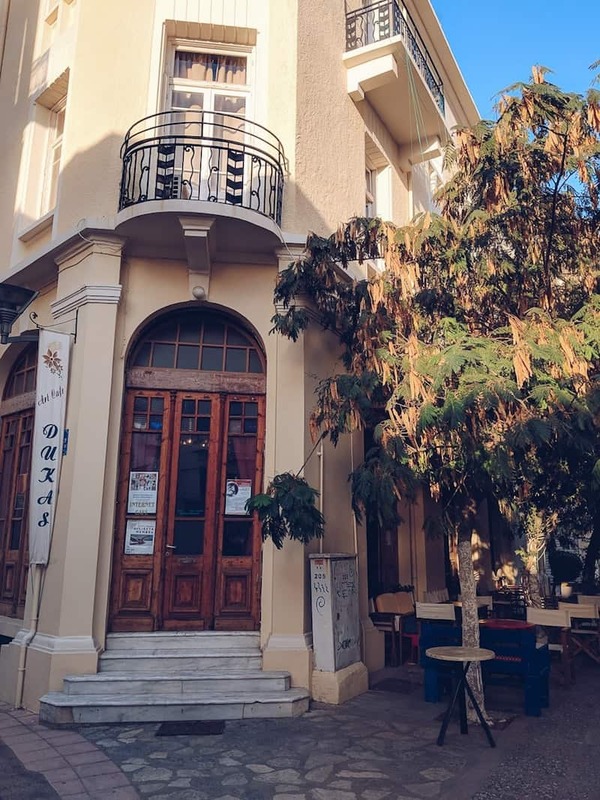 Whilst we’re talking coffee, proper coffee fiends should check out Crop whereas the best cafe in Heraklion for digital nomads is the friendly Biscotto. Popular with students it has actual comfy sofas (rare in Greece! ), plenty of power points, decent coffee that comes with free cakes, and a vintage-hipster vibe. 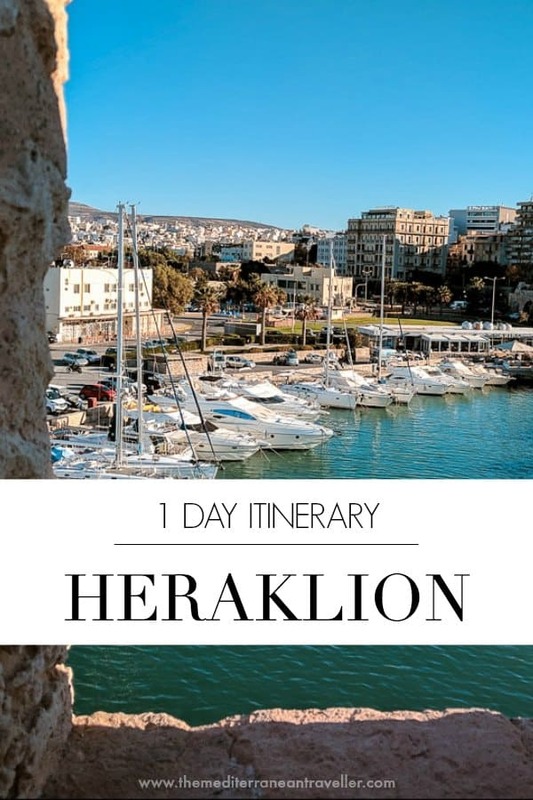 Heraklion doesn’t have a beach in the city, the most accessible is Ammoudara which is easily reached on the city bus (line 12). If you’re in Heraklion for one day, this is the best choice as buses are so frequent. If you have extra days, then you have a few more options. I took a bus out one day to Agia Pelagia, on the nearby peninsula, because it looked nice in photos. It’s nothing special, to be honest, although the water is clear and it’s home to low-key holiday resorts and apartments. 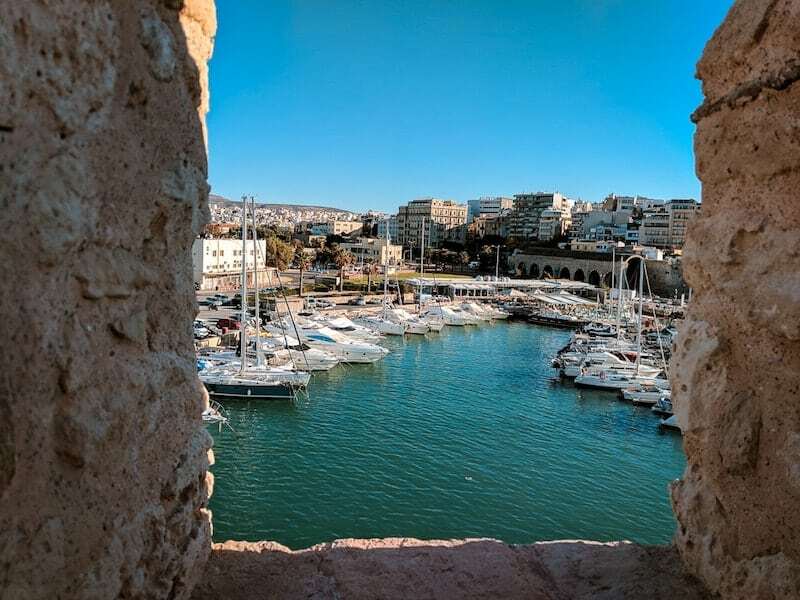 It has a chilled out family-friendly vibe and all the tavernas have photographs on their menus. 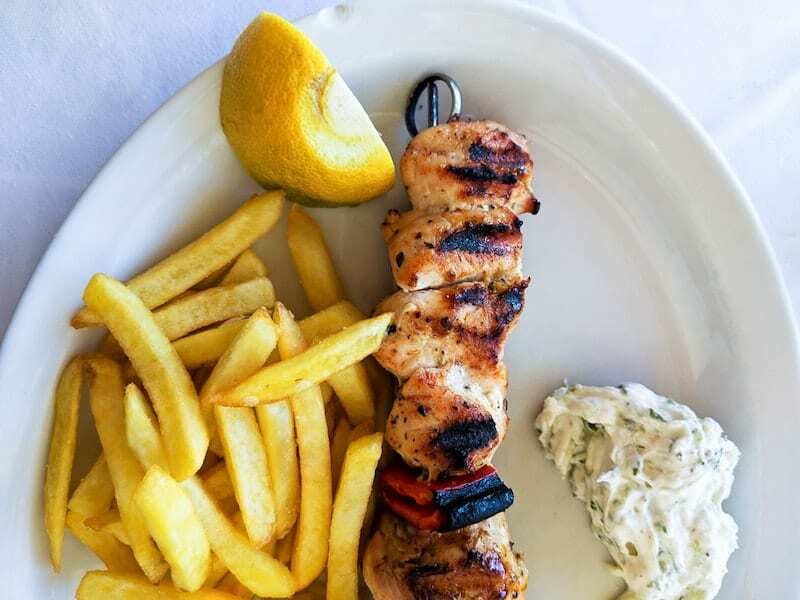 But still, you can’t really go wrong with that classic combination of sun, sea, chicken souvlaki and a cold beer to wash it down. The sea is clear and the beach is less busy than the main one at Ammoudara, so it’s a worthy alternative if you don’t like crowds. Bus times are not as frequent as you might imagine considering how close it is to the city. If you have another whole day, it’s better to get up early to catch the bus to Matala, where you can check out the hippie caves made famous by Joni Mitchel (or head around to the Red Beach if it gets too busy). If you have a rental car, some other beach names that were recommended to me are Komos, Disko, Lenta, and Keratokampos. After all that exploration you’ll need a good evening feed. The fish restaurants down by the water are popular with locals (Ippokampos is the best and most pricey). For grilled meats try Oti Thes or Kousineri. 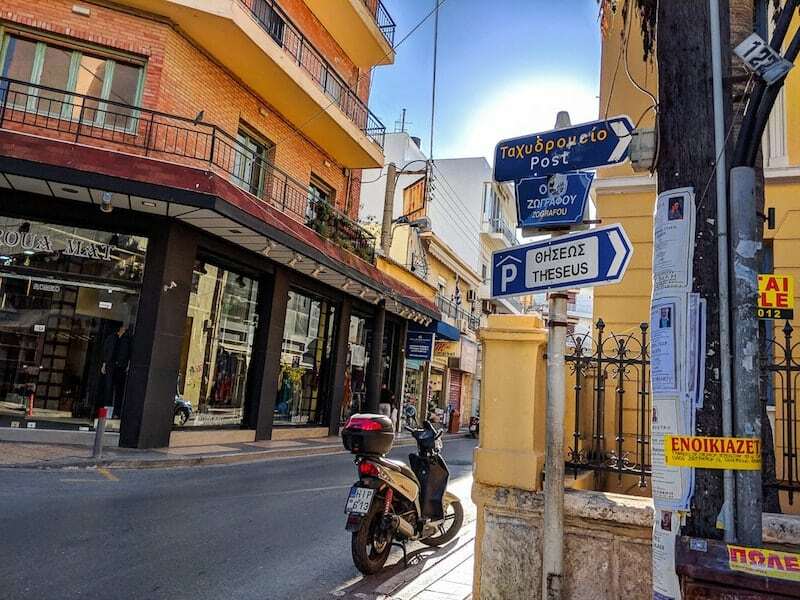 Known as one of the best restaurants in Heraklion, if not the whole island, Peskesi is tucked away in a little alley and for a moment you could think you’re in prettier Chania or Rethymnon. It’s all plants and fairy lights and upturned barrels. 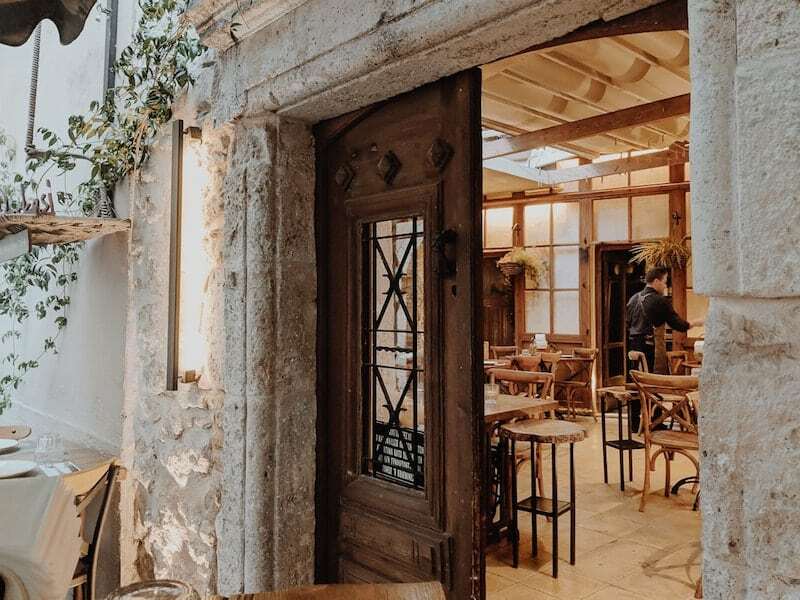 The menu is purely Cretan, which is pretty exciting if – like me – you’ve tried everything on standard taverna menus many times over. 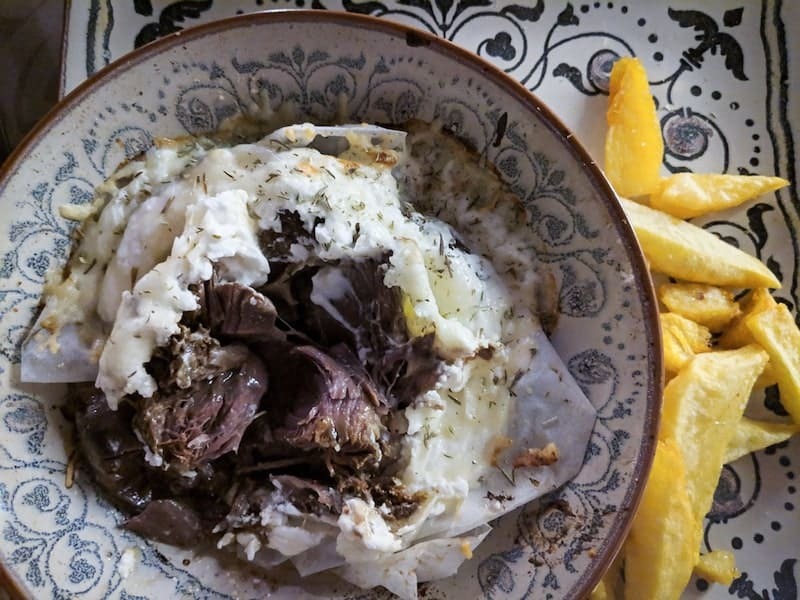 Highlights from the menu include slow roasted goat in yoghurt, pork roasted with honey and thyme, and finished off with the most delicious complimentary rose liqueur which tasted of the best Turkish delight loukoumi you can imagine. If you can still fit anything into your stomach, there’s a wine bar right opposite called OPUS which looked enticing. 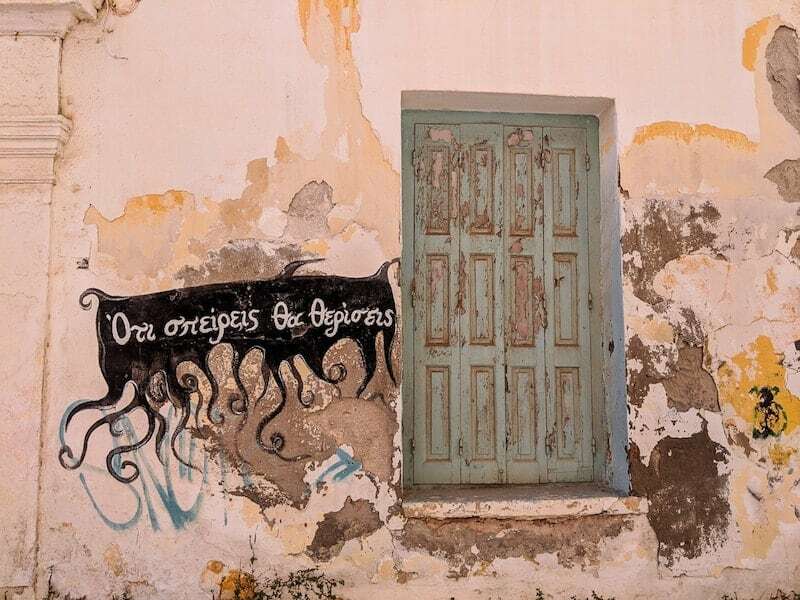 And if you’re still standing, Heraklion is legendary for its tsipouradika and rebetiko. . . Historically all of the tourist accommodation has been outside the city in the summer resorts. 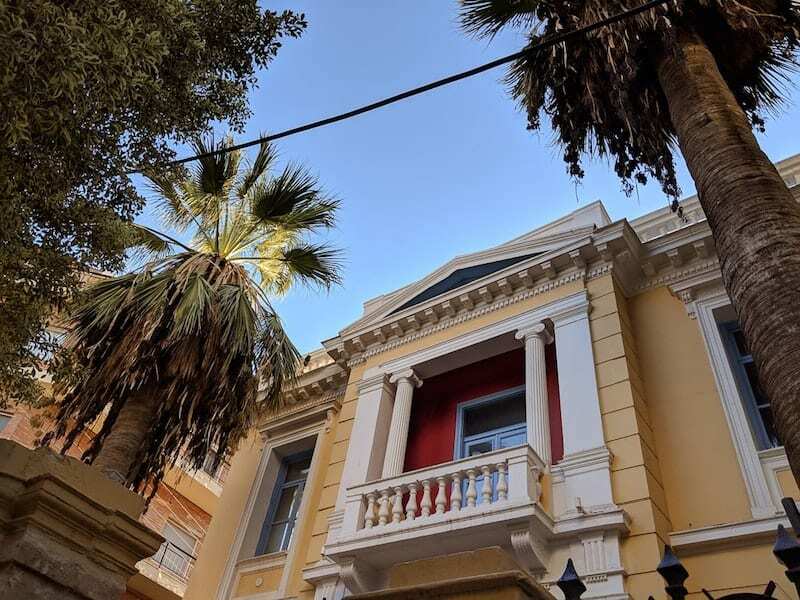 That’s slowly changing, with a few interesting boutique options cropping up: Veneziano Boutique Hotel is the classiest option in a beautifully renovated historic building, whilst the LATO Boutique Hotel is more modern and has harbour views. 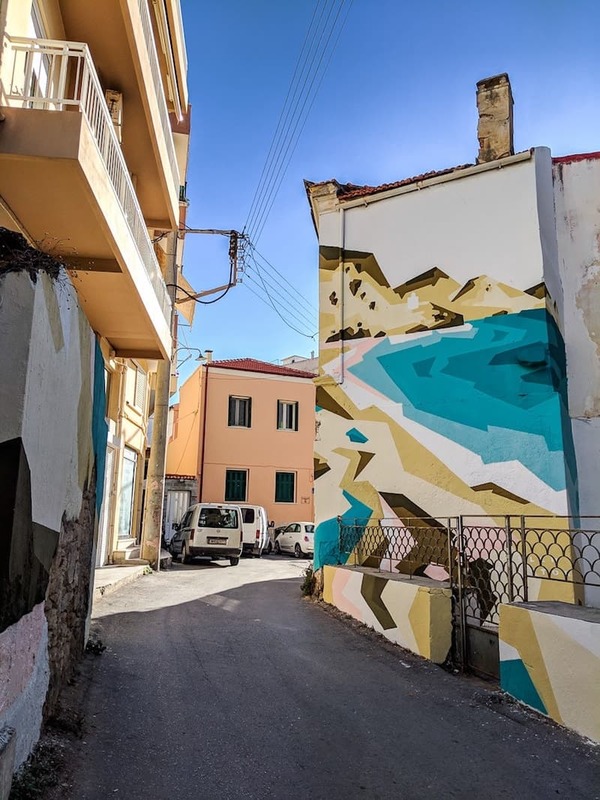 I stayed at boutique hostel Intra Muros which is a good basic option for a night or two in the summertime, and there’s another boutique hostel in town called So Young. It’s worth noting that you can find private rooms in traditional domatia or apartments on Airbnb for not much more.